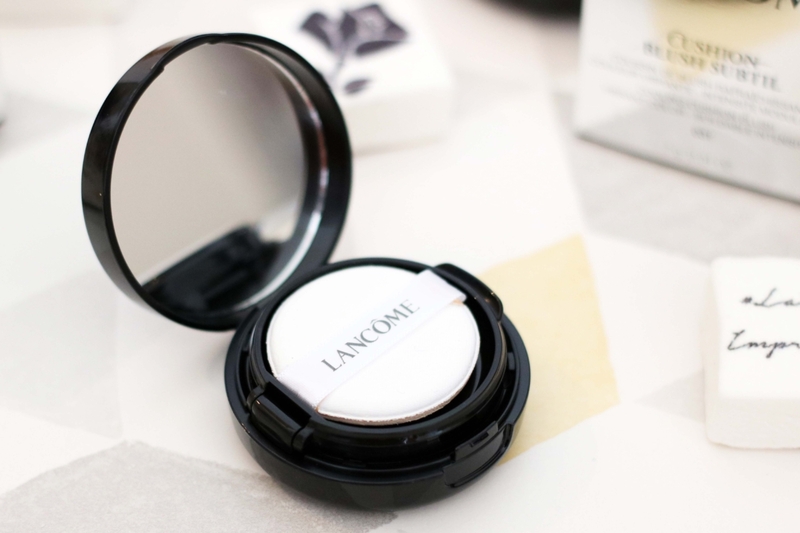 Lancôme recently released a new product that’s got the world talking! 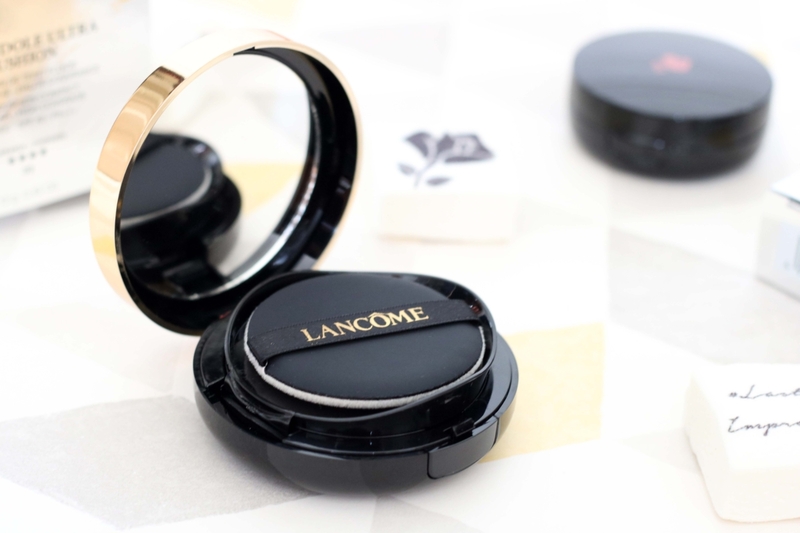 The Teint Idole Ultra Cushion Foundation is one of the best-selling newcomers to Lancôme. It’s simply a cushion form of the iconic Teint Idole Ultra Cushion 24H Foundation which is well-known for it’s long lasting full coverage! I’m a huge fan of cushion foundations because they’re simple to apply and easy to carry, hence I was super excited to try out this product! In addition, I also got to test Cushion Blush Subtil in Splash Orange, which was released earlier this year. Although a lot of brands have jumped in for the cushion foundation craze, I have never seen or tried a cushion blush! I was positively challenged by this product as it’s nothing like the powder blush I’ve used before and the Splash Orange colour is not something I would have chosen for myself! 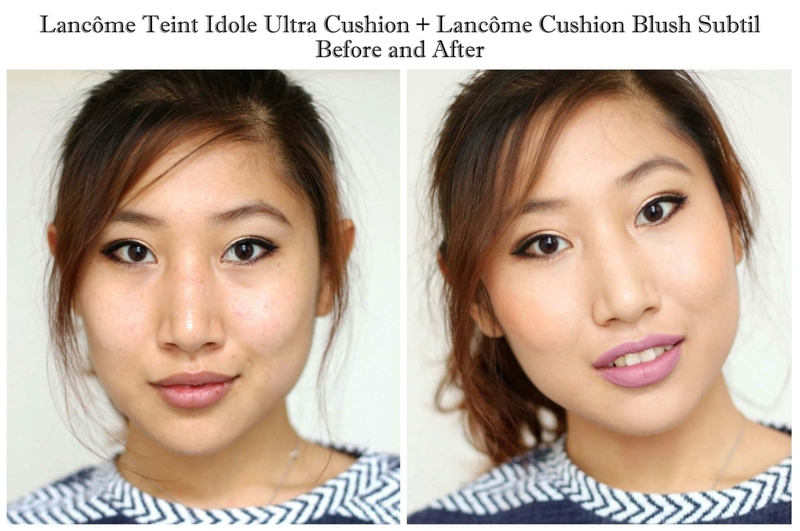 Teint Idole Ultra Cushion comes in 9 different shades ranging from Beige Albatre to Beige Moka. However, the shades do not match up with its liquid foundation equivalent Teint Idole Ultra Cushion 24H, but it corresponds to the Miracle Cushion foundation shades. The shade I have is 003 Beige Pêche which gives my skin a flawless finish, but the shade is a little too “pêche” (peachy) for my skin tone. So it’ll be interesting to see if they can recommend another shade in-store. The application is as easy as it looks. Just press the applicator lightly on the cushion and the foundation will seep through. To apply, I like to pat the foundation on my face with the applicator. It goes on really easily and it requires minimal blending! The coverage is amazing and it lasts forever! I’ve got plenty of medium coverage foundations, so it’s nice to have a full coverage foundation for a change. This cushion foundation stays put from 9 to 5, and covers all the spots and redness. 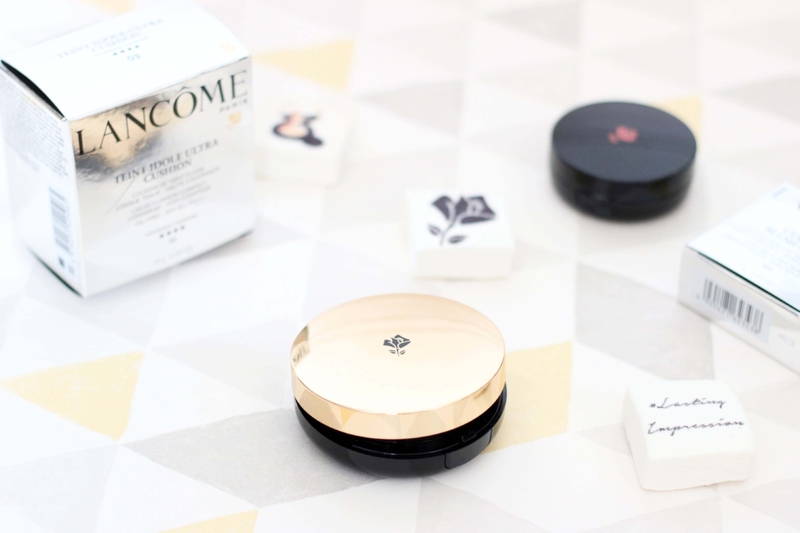 The design is very simple and elegant, like all Lancôme products. The liquid cushion is removable, so you can buy the refill for less! 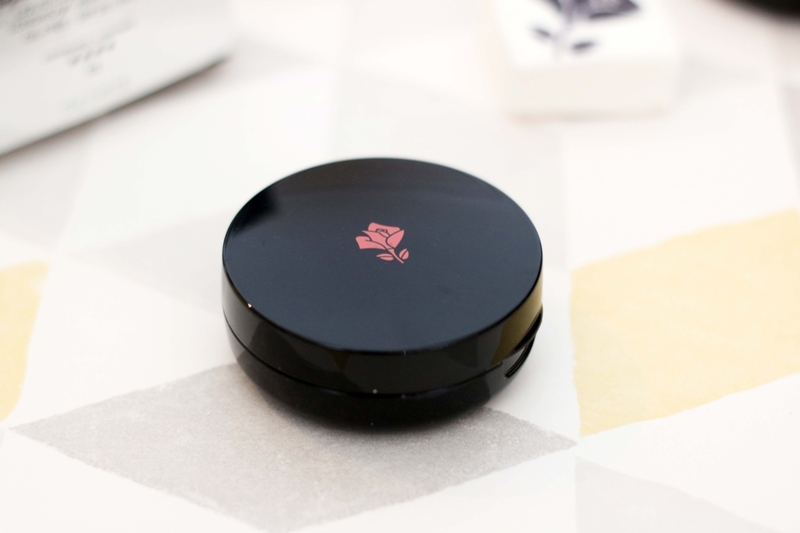 The compact is also easy to carry around and great for travel as it’s a foundation, applicator and mirror in one! Cushion Blush Subtil comes in 6 beautiful vibrant colours. The one I’ve got here is in the shade Splash Orange which is as orange as it gets. However, Lancôme also offers a selection of pink shades including Rose Limonade and Sparkling Framboise! I wasn’t sure about the orange colour when I first saw it, but it actually looks really nice on! 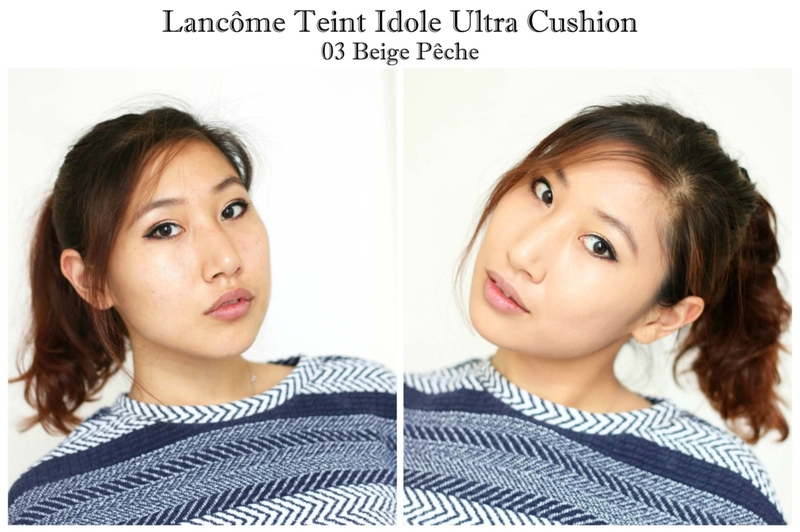 Similar to the Teint Idole Ultra Cushion, it’s as simple as press and apply! I find the application process a little more difficult than the foundation as the blush requires blending which is more difficult with a big puff applicator. However, I’m sure I’ll master the technique with practice. The colour is really strong and vibrant, but it can look subtle if blended out correctly! However, the intensity is buildable and you can get some really strong colours with the application. I’m also positively surprised by how nice the orange shade looks on my skin tone! 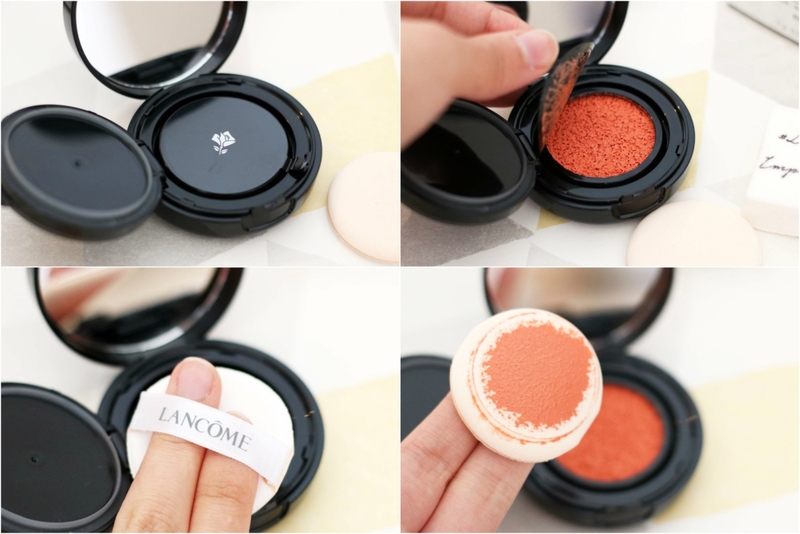 The design of the Cushion Blush Subtil is very similar to the cushion foundation, but a lot smaller in size. 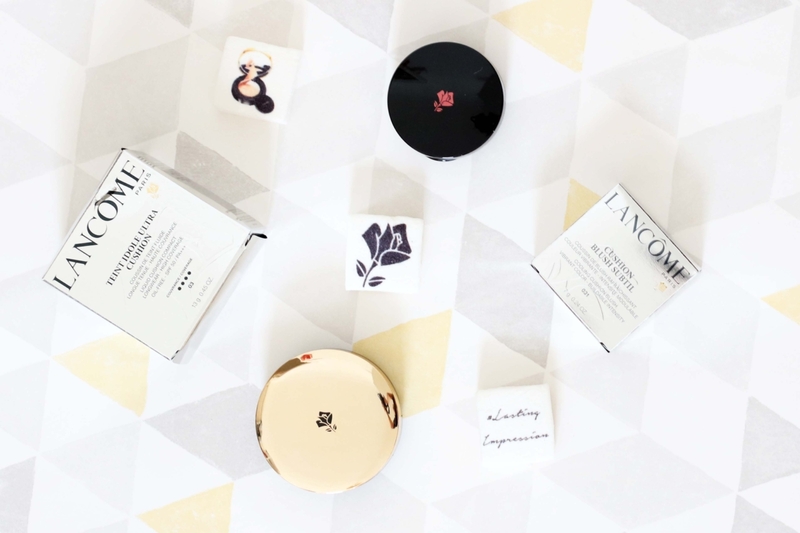 It’s not refillable, but based on how little product I use with each application, I can probably get hundreds of applications out of this compact! I’m so happy to have tried this shade out even though it’s not the first shade I would have picked myself. However, I’m also very intrigued as to how the other shades will look like on, especially Rose Givrée! For the complete look, I also applied Kat Von D Liquid Lipstick in Lovesick which seems to dim the orange colour . Other than the Lancôme Foundation and Blush, I also applied a bit of powder on my nose and forehead to dim down the dewy look given off by the foundation (but it’s not necessary if you’re looking for a natural glow). I’ve also added a bit of concealer under my eyes on top of the foundation for extra coverage, but the foundation does the job pretty well on its own. 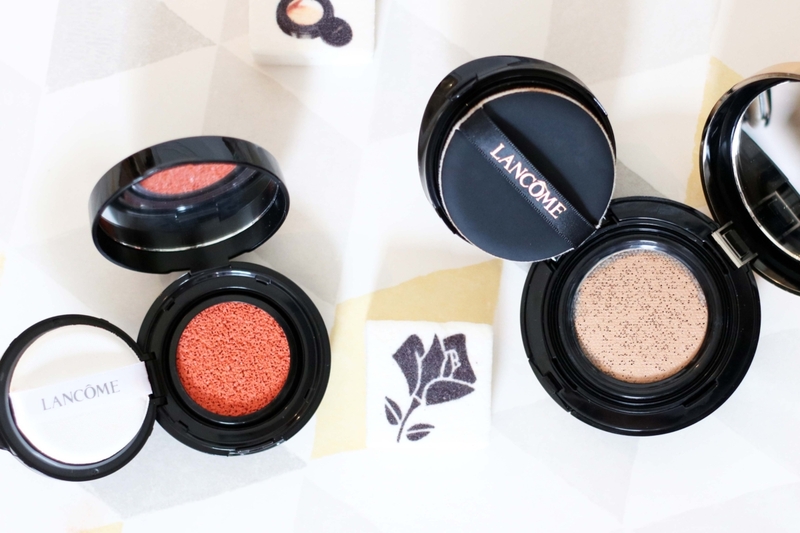 The overall look is all about creating a healthy complexion without an excessive amount of face products which is definitely achievable with only two products; Lancôme Teint Idole Ultra Cushion and Lancôme Cushion Blush Subtil! *Disclaimer: I received these products for review purposes, but the views are 100% my own.